My close friend told me the other day that she’s tired of looking at my Instagram because all that’s ever on there is nachos. I can’t help it though! Nachos are my most favorite thing on the planet. I’m pretty sure she was joking. She loves me. She’s not a meanie. And then about an hour later I offered to make my pulled pork nachos for a little celebration we are having this weekend and she jumped at the chance. Mmmhmm. Yep. I see how it is. So it is with great hesitation (note sarcasm) that I am posting this recipe so soon after posting a different recipe for nachos just last week. This recipe actually took a few tries for me to perfect. It’s one of those things that looked so easy, but ended up being tricky to get just right. 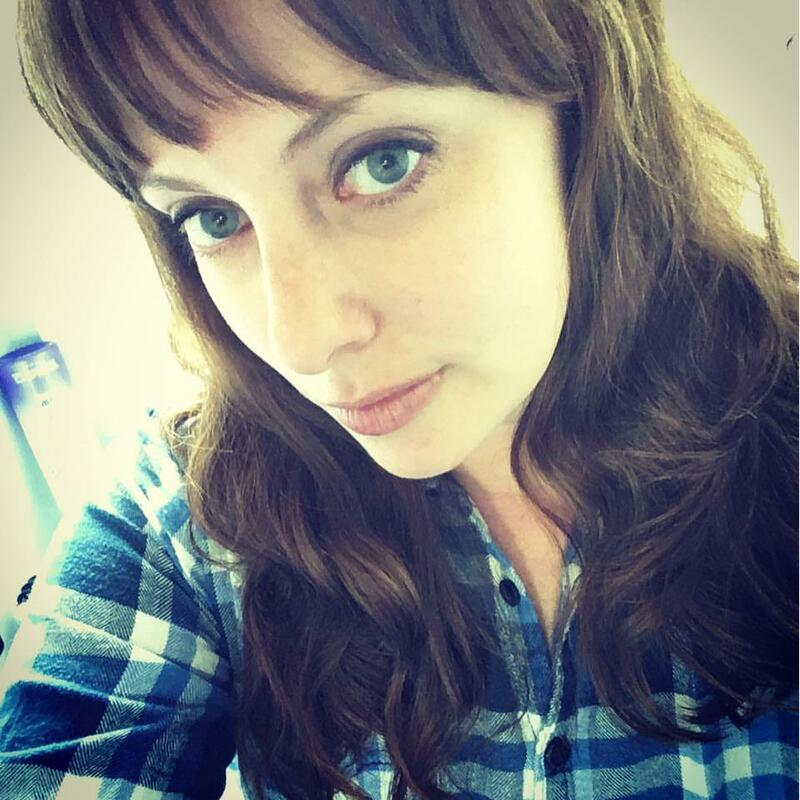 My husband and I do this thing every once in a while where we send my daughter to have a sleepover at mom-mom’s and we head downtown and do some day-drinking and eating. We have a drink (or two, or three!) and a snack at each place. After four or five places we hop on the train home and fall into bed stuffed and gluttonous. Jose Pistola’s is this awesome dive bar downtown with strong margaritas and good food. These nachos were no exception. Lately Aaron and I have been in the habit of leaving meat off of our nachos because then they are too filling. 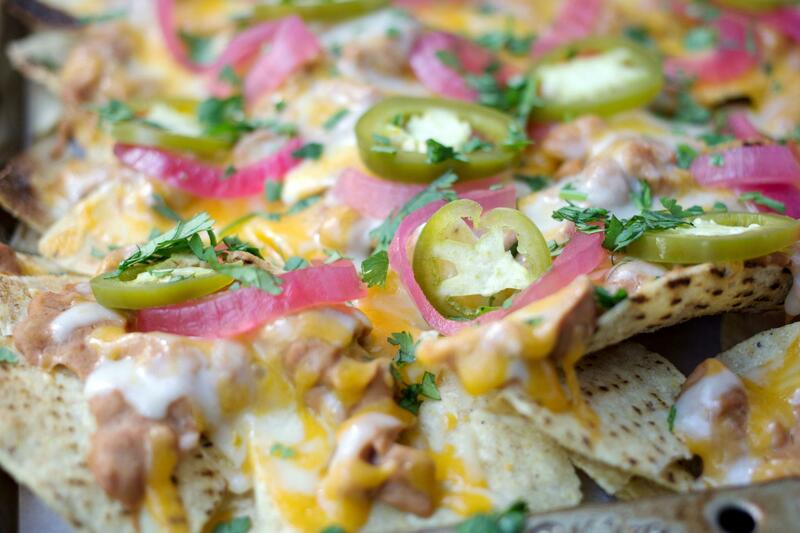 So these nachos literally only have refried beans, cheese, pickled jalapenos, and pickled red onions on them. So simple. So easy to reproduce, right? Nope! I tried a couple different recipes for homemade pickled jalapenos and homemade pickled red onions before I got them right. For these I turned to Pinterest of course. And one thing that stumped us was how to make the refried beans so creamy? For this I turned to Google. The recipes for these three components are not mine! The recipe for homemade pickled jalapenos belongs to Jules from Jules Food. Thanks Jules! The recipe for homemade pickled red onions belongs to Martha from A Family Feast. Thanks Martha! The recipe for creamy refried beans belongs to Michaela from An Affair From The Heart. Thanks Michaela! All of these recipes were so spot-on for the flavors I was looking for to build these nachos that I literally did not have to tweak them. The only thing I did that wasn’t specifically mentioned was for the refried beans, I used chipotle Tabasco instead of regular Tabasco (because seriously if you guys haven’t bought yourselves a bottle of chipotle Tabasco yet I’m not sure we can be friends. Get on that!). I know what you’re thinking. WHY SO MUCH WORK FOR NACHOS. 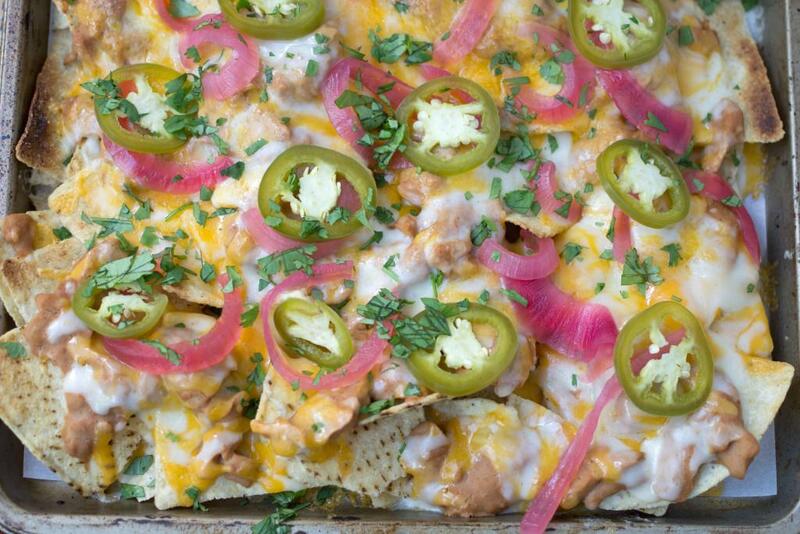 Because if you love nachos like I do, no amount of work is too great. Duh. 1. Remove some of the pickled jalapenos and pickled red onions from their jars to drain a bit on a paper towel. Blot the tops dry with another paper towel. Set aside. 2. Preheat broiler to high. Spread tortilla chips on a cookie sheet in a single layer. Pour refried beans on top. Top with shredded cheeses. Put into the broiler and keep an eye on them. Remove when the cheese has melted, about 3-5 minutes. 3. Top with jalapenos, onions, and cilantro. Drizzle with sour cream if desired, or put sour cream into a bowl and dip as desired.